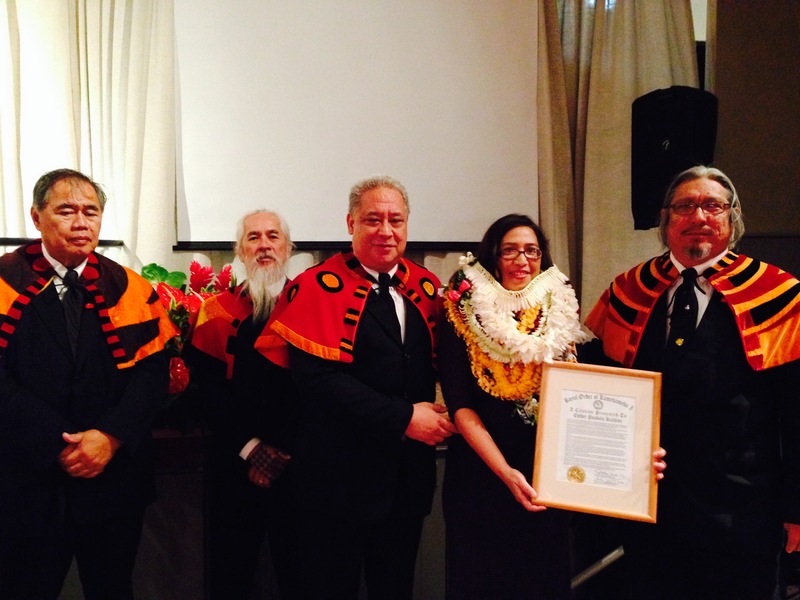 Members of the Royal Order of Kamehameha I gathered this evening to present a letter of congratulations to Esther Kia‘aina, who was appointed by President Obama to a post as Assistant Secretary of the Interior. BE IT FINALLY RESOLVED, that a copy of this Citation of Congratulations be presented to Esther Puakela Kia‘āina on the Twenty-Seventh Day of Kekemapa, 2013 at Ceremonies held at Hānaiakamalama, Queen Emma’s Summer Palace, Nu‘uanu, O‘ahu, Hawai‘i. Ali‘i ‘Aimoku Sir Arthur Ka‘uhane Aiu, K.G.C.K. Kākā ‘Ōlelo Ali‘i Sir Charles Kūkahimaikalani Tilton, K.C.